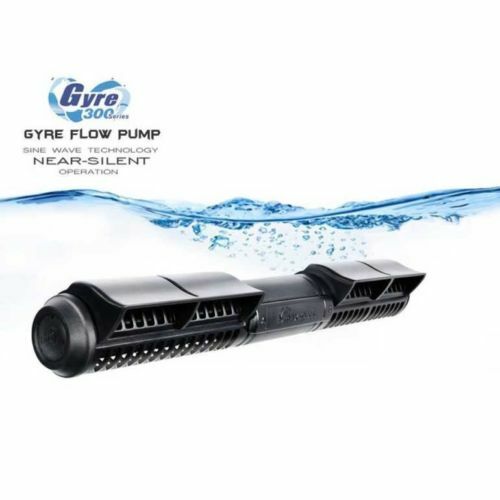 Gyre Flow Pump 300 series - XF330 - Double (Include 2 pump + 1 controller) SINE WAVE motor technology allows the 300 series to run at near silent levels. Improved motor / magnet design and cable positioning. New Flow Director attachment that enhances water flow direction allowing more precision within the aquarium. The attachment also shields the cages and rotors from light slowing down algae growth and therefore reducing maintenance time. Another feature of the flow director is the gyre can be positioned closer to the surface improving surface agitation without creating vortices.